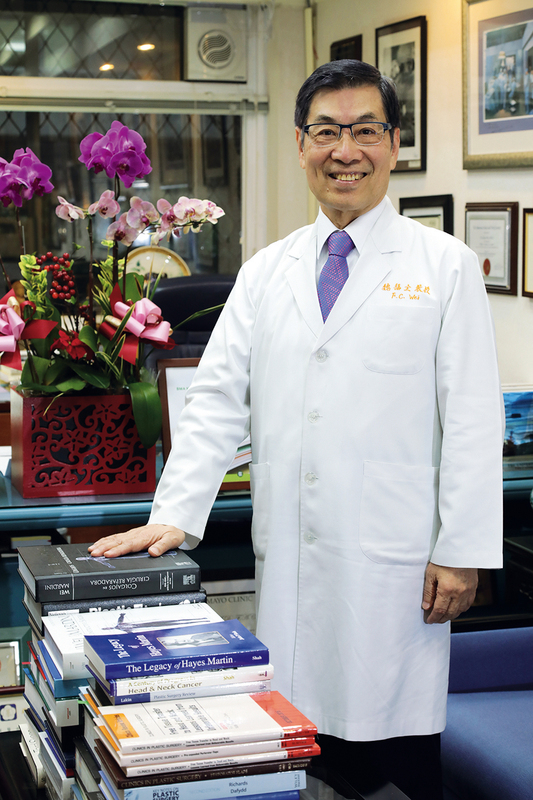 Professor Wei Fu-chan, who is an academician of the Academia Sinica and a prolific author of medical writings, hopes that seed doctors can carry the techniques of microsurgery to all places in the world where they are needed. Through explanations of real cases, the fellows in the microsurgery master’s program gain a deep understanding of patients’ needs. The photo shows a follow-up visit in a case of toe-to-hand reconstructive surgery. Charles Anton Fries, from the UK, was recruited to work in the University of Oxford Medical School immediately after returning from his studies in Taiwan. The photo was taken during our videoconferencing interview with him. Jhonatan Elia, who is from Israel, says he came to Chang Gung not only to acquire technical and clinical knowledge, but also to develop his capacity for critical thinking. Hubert Shih, from the US, says that nowhere else in the world compares with Chang Gung for the diversity and complexity of microsurgical cases. The microsurgery master’s program, which combines theory, experiment, and clinical experience, is the first of its kind in the world. 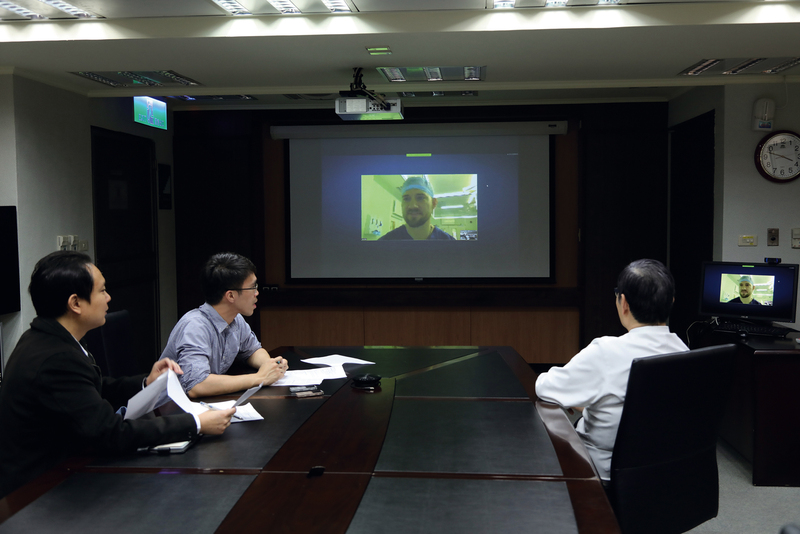 During “morning meetings” in the Plastic Surgery Department at Chang Gung Memorial Hospital, some research fellows present reports on their work, while professors make on-the-spot explanations. It is not yet 7 a.m., but already the conference room of the Plastic Surgery Department at ­Chang Gung Memorial Hospital is filled with doctors preparing to take part in a morning micro­sur­gery discussion meeting. They include surgeons from many different countries, who share their experiences and achievements in micro­sur­gery. What is it that attracts doctors from all over the world to come to Taiwan for advanced training? And how is Taiwan’s international visibility being raised and its influence spread to all corners of the globe? To answer these questions, we should start by talking about Taiwan’s leading authority on microsurgery—Professor Wei Fu-chan. In 1979 Dr. Samuel Noord­hoff, the first super­intend­ent of ­Chang Gung Memorial Hospital, sent Dr. Wei Fu-chan to the University of Toronto for advanced study as a clinical fellow in microvascular and plastic surgery. There he came into contact with the field of re­con­struct­ive micro­sur­gery, laying the foundations for his later launching of micro­sur­gical treatment in Taiwan. Returning home in 1981 after completing his studies, Dr. Wei began to apply what he had learned to patients, holding fast to the selfless ideals of his teacher, Dr. Noord­hoff. Three years later, Noord­hoff asked him to attend an academic conference on microsurgery. “That was the first time I had taken part in an international conference. To be able to present a paper alongside senior colleagues from Singapore, Hong Kong and Thailand whom I had long admired made me very happy.” It was also the first time that he recognized that ­micro­sur­gical skills in Taiwan were not lagging behind those in other countries. Thereafter, he attended every international micro­sur­gery conference he could and presented the discoveries of his latest research, thereby demonstrating that micro­sur­gical techniques in Taiwan had even surpassed those in other countries. Over time, Wei began to be invited by universities and medical centers in other countries to serve as a visiting professor. “I thought that as we had learned our micro­sur­gery from others, now it was up to us to think about how to give something back to the international community.” As he continued to reflect on Noord­hoff’s spirit of selfless contribution, Wei, who would later receive a Harry J. ­Buncke Lecturer Award (considered the “Nobel Prize” of reconstructive microsurgery) from the American Society for Reconstructive Microsurgery, began step by step to develop a unique microsurgery teaching system for Taiwan. Wei explains that microsurgery can help not only in saving lives, but also in the restoration of bodily functions and appearance, which play a key role in an individual’s dignity. 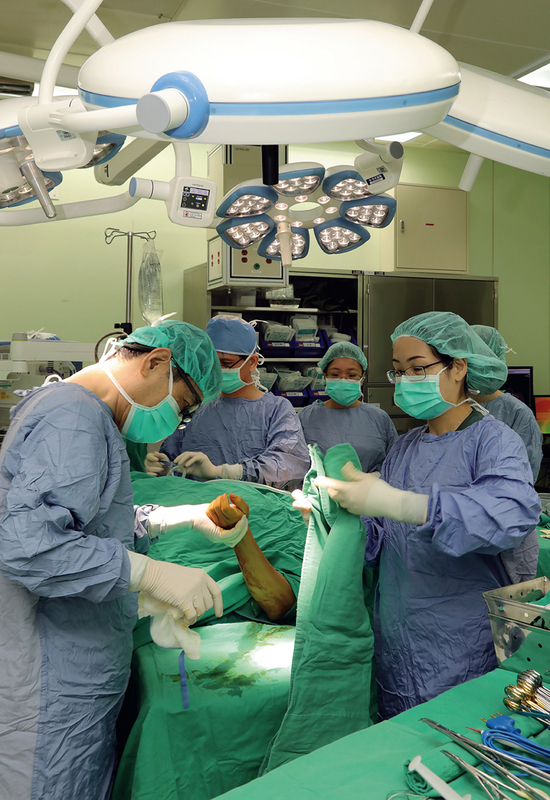 Moreover, Taiwan’s National Health Insurance system provides an excellent basis for the development of this type of surgery, because it enables patients to undergo treatment without having to bear the burden of expensive medical bills. Microsurgery is applied in two areas: trauma, and cancer treatment. For example, in cases of tongue cancer, after a large part of the tongue is cut out, reconstructive surgery would be impossible without microsurgical techniques. Chemotherapy and radiation therapy are not very effective with this type of cancer, and they are more expensive. Therefore, through many years of effort Wei has led his medical team in gradually developing reconstructive techniques in a wide range of subfields that include vascular, neural, lymphatic, and tubular structure micro­sur­gery. There is nowhere else in the world that offers such a comprehensive set of micro­sur­gical techniques. ­Chang Gung’s Reconstructive Microsurgery Center can boast many other world-beating achievements too, such as having created the largest number of innovative surgical procedures, having the largest number of doctors who are internationally recognized authorities, having the largest intensive care unit for reconstructive micro­sur­gery, having treated the largest number of micro­sur­gery cases of any medical center, and having the most publications. 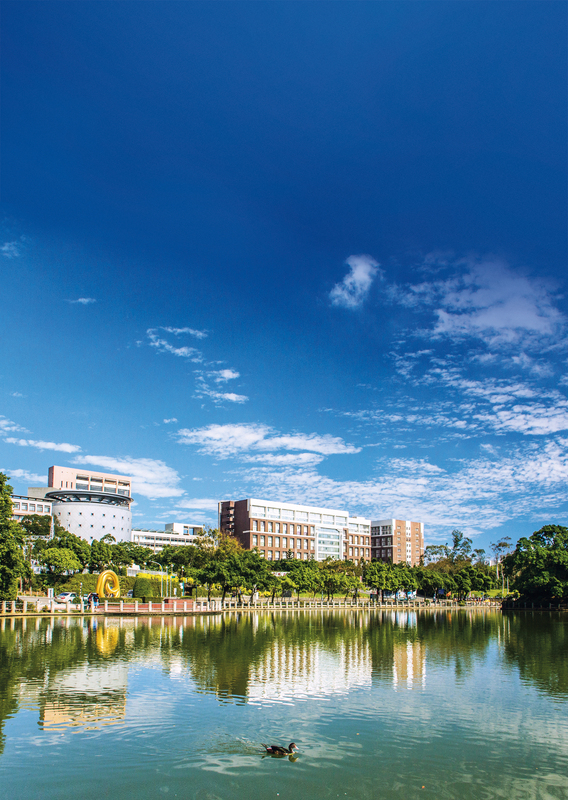 These areas in which ­Chang Gung leads the world attract practitioners and researchers from around the globe to come to Taiwan to visit and to undertake advanced study. “I felt that there are too few people and places in the world that are able to perform microsurgery, so I had a thought: How can I spread these techniques as widely as possible?” Wei believed that the most effective way was to train seed teachers who would convey micro­sur­gery to all places in the world where it is needed. This is the concept of “training the trainers.” To this end Wei persistently lobbied ­Chang Gung University and the Ministry of Education, until in 2015 he was finally able to transform CGMH’s existing system of clinical research fellowships in reconstructive microsurgery into the International Master of Science Program in Reconstructive Microsurgery, which combines clinical research with a master’s degree curriculum. This is the first master’s program of its type in the world, combining theory, experi­menta­tion, and clinical experience. Thirty-seven years have passed since the founding of the Reconstructive Microsurgery Center, and in that time ­Chang Gung has trained more than 150 “fellows” (who spend at least one year at the hospital) and nearly 2000 “visiting scholars” (who come for varying periods of time), from 83 countries. Thanks to the accumulated experience of this training, ­Chang Gung has developed an instructional system and philosophy that are unique. These surgeons who come to train in Taiwan are thrilled to be acquiring knowledge that is available nowhere else. Moreover, many research directions and topics are produced by interactive brainstorming between teachers and fellows. 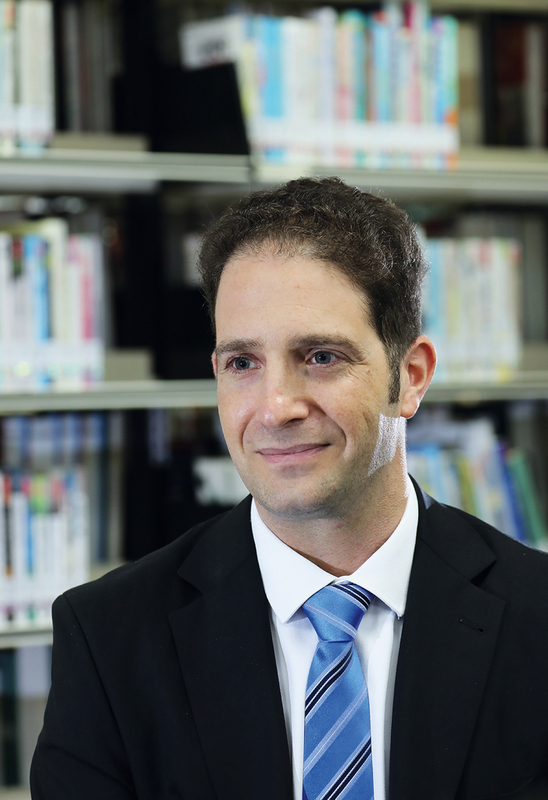 Jhonatan Elia from Israel, who has been practicing medicine for 17 years, says that ­Chang Gung’s microsurgery program is the only course in the world that combines a clinical research fellowship with an international master’s degree. “I came here not only to learn technical and clinical skills, but also to develop my capacity for critical thinking. This is something that Professor Wei is always emphasizing.” Seeing the kindness and professionalism with which doctors here treat patients, as well as their care when guiding students, Dr. Elia not only wants to use what he has learned here to treat patients, but also hopes to share this knowledge with other doctors who wish to learn. When military surgeon Charles Anton Fries returned home to the UK after completing a fellowship in Taiwan, he was immediately recruited to the University of Oxford’s Medical School. He recalls the first time he took part in a morning meeting at ­Chang Gung: “Introducing my case studies at my first morning meeting, I was very nervous but also very excited. But now, looking back, it was all very much worth it.” Fries describes Wei Fu-chan as a terrific surgeon and teacher, who helped him to understand how to become prominent in this field. In the future he will carry on in the spirit of Professor Wei, passing along micro­sur­gical techniques while continuing to conduct research, just as he did in Taiwan. We interview Hubert B. Shih, who grew up in the San Francisco Bay Area and was a resident at Stanford University, just after a morning meeting. He says the case studies discussed in the morning meetings are all very practical, and there is a greater diversity and richness of cases than he had seen at Stanford, such as reconstructive surgery of the mouth following oral cancer, and of the upper and lower limbs. There are also some cases of toe-to-hand transfer surgery, which only a few doctors in the world can perform successfully. Shih notes that although he had previously studied flap transfer surgery in the US, it was only after seeing a personal demonstration by Wei Fu-chan and hearing Wei’s explanations that he realized that in fact he didn’t thoroughly grasp this type of surgery. 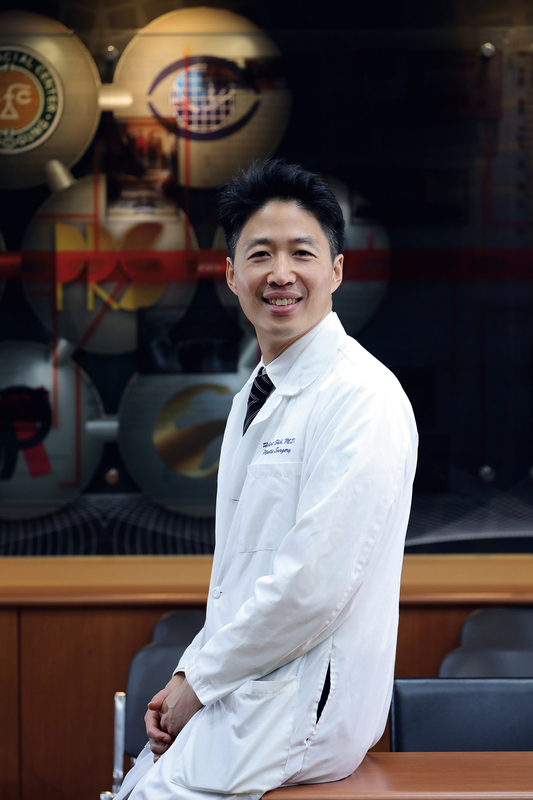 He also admires Wei for having developed microsurgery at ­Chang Gung to a world-class level, a feat he finds to be amazing. Meanwhile, in the operating theater, Nidal Al Deek from Syria and Nicholas Do from the US both actively engage in Wei’s pre-surgery discussions. When we interview Al Deek, he tells us, “For me, microsurgery is a very important technique, because my country is at war.” The war has destroyed much infrastructure and many hospitals in his homeland, and doctors have fled the country. For this reason he hopes that after he finishes studying in Taiwan, where microsurgery is very advanced, he can return to his country and help people in need. Al Deek also mentions that he admires Wei because, despite having won countless awards and honors and received much recognition, he is still able to maintain his curiosity and continually upgrade his skills. This spirit sets a sterling example for the younger generation. Moreover, Al Deek feels that Wei has a fatherly relationship with his clinical research fellows. He not only tries to fairly divide responsibilities with them, he also strives to resolve cultural differences, so that fellows here can focus on learning. This also makes him a role model for those who wish to lead their own medical teams. Nicholas Do comments, “At ­Chang Gung, there are microsurgical teams specializing in four different subfields. 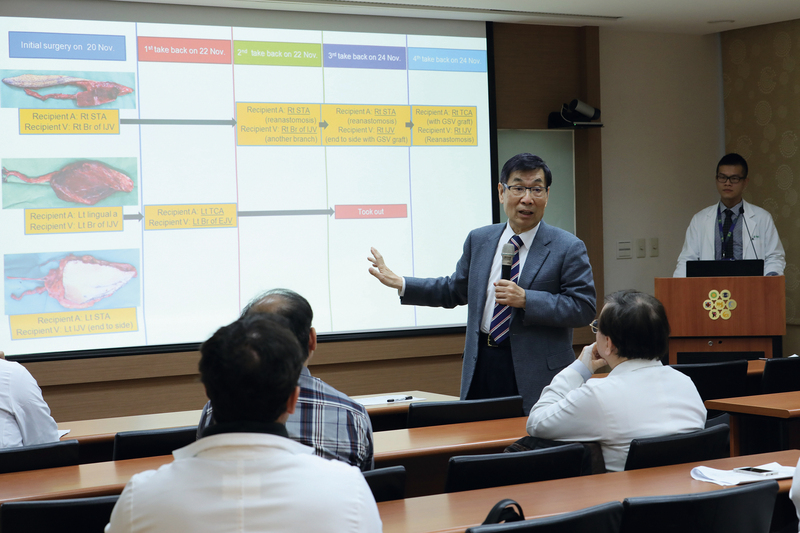 This is something rarely seen in the US.” He says that Wei places great emphasis on clinical practice and basic scientific research, and encourages students to present reports at each monthly meeting. Do feels that coming to study here has not only met his original expectations, but has exceeded them. In one corner of the microsurgery center’s laboratory, Esteban Cardona from Columbia is concentrating on experiments in allotransplantation in mice. During our interview, Cardona mentions that he wants to learn from the teachers here how to closely match patients’ needs, and use microsurgery to solve their problems. He feels that Wei is not only an outstanding professor and surgeon, he is also a person that others want to follow. Cardona says that he can learn from Wei not only surgery but also how to conduct research and lead a team. Cardona’s instructor, Dr. Wang Yen-ling, explains that in basic research in the laboratory, “we use rats, mice, and pigs. Esteban is doing research on foot transplantation in mice and how to lower rejection and so reduce the use of immunosuppressive drugs.” ­Chang Gung is ahead of other centers in transplantation surgery on mice, which requires outstanding skills. Not only do surgeons have to suture blood vessels that are roughly 0.4 milli­meters in diameter, they also have to sew together nerves, and therefore need even higher levels of microsurgical training. Wang adds, “The research fellows who come to study here are mainly in the laboratory doing animal experiments for the first year. They only begin doing clinical work in the second year.” Moreover, Wei further demands that students get at least one article published in a journal as the first author in order to graduate. In many countries medical students often pay their expensive tuition fees by means of student loans, and then need to undergo six years of residency after gradu­ation. Considering the low salary during residency, it is usually not possible for them to pay the student loans off quickly. It is only when students become attending physi­cians that their salaries sharply increase. Many of the students who come to ­Chang Gung to train in micro­sur­gery have just completed their residencies. Therefore it is very important to provide these inter­national students with scholarships so that they can focus on their studies without any worries. Moreover, the students will in the future be professors, department heads, and leaders in the field of microsurgery in their respective countries, and will feel grateful to the organization that assisted them when they were first starting out. For example, on September 22, 2017, a thank-you dinner for Professor Wei was held in Glasgow, Scotland by former clinical research fellows. They also invited former ROC foreign affairs minister David Y.L. Lin, currently Taiwan’s representative in the UK, and in addition to expressing their gratitude to Wei for his guidance, they specially thanked the Ministry of Foreign Affairs (MOFA) for the scholarships it provided. Since 2011, MOFA has also been subsidizing doctors to come to ­Chang Gung for training from regions including Europe, North America, South America, and the Middle East. When these doctors return home, they will in turn train physicians from their own and many other countries. 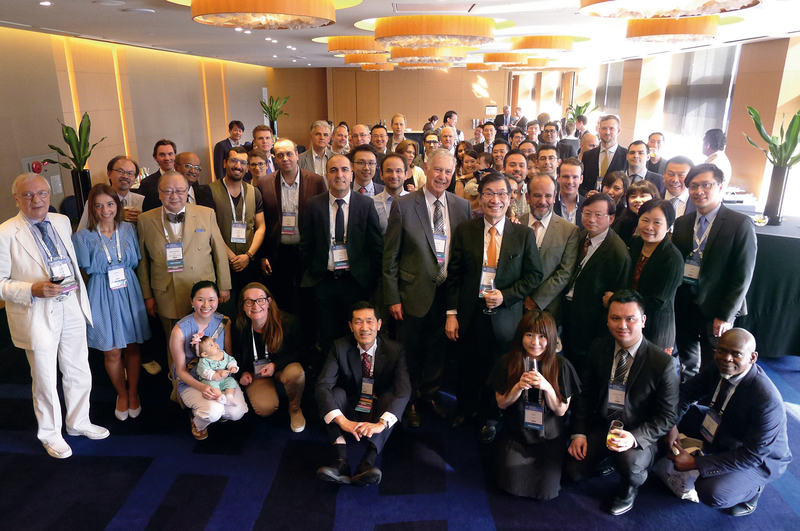 This is not only helpful for enhancing Taiwan’s visibility and influence, it is also very bene­ficial for raising the quality of doctors in countries worldwide. These actions echo Taiwan’s commitment, announced at the 69th World Health Assembly in 2016, to provide training opportunities for 50 seed surgeons from countries around the world over the next five years in response to the “Global Surgery” initiative proposed by the WHA and the Lancet Commission. Hailing from different countries and regions, the micro­sur­gery seed doctors trained in Taiwan are spreading to every corner of the globe. Every year ­Chang Gung arranges for foreign doctors to go to New Southbound Policy countries to do volunteer work, such as holding medical education seminars or giving surgery demonstrations. Wei Fu-chan hopes that in the future his program can be accredited by European medical training institutions, and also that it can link up with well-known universities such as the University of Oxford and the University of London to cooperate in joint degree programs. He also hopes to develop a PhD program in addition to the master’s program, and to build up a worldwide micro­sur­gery network centered in Taiwan. Chang Gung University vice-president Professor Chen Jan-kan notes: “About 70‡80 applicants from around the world compete for the eight to ten places in the micro­sur­gery program every year. 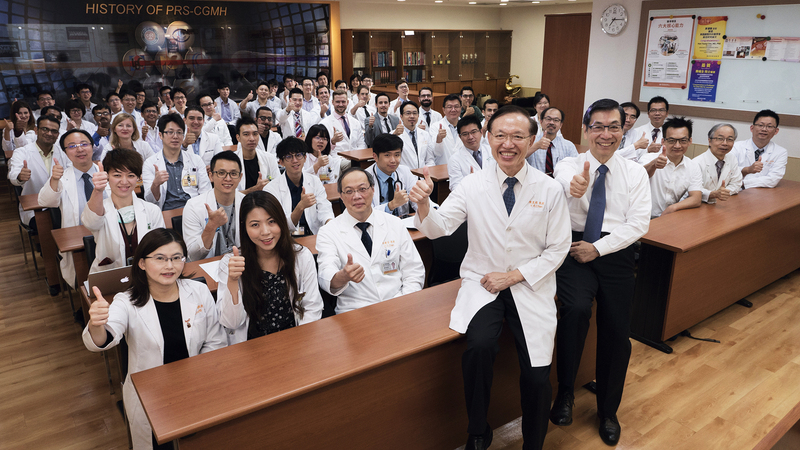 It’s extremely competitive.” After they return home, these doctors not only can serve patients, but also, by passing along their knowledge, they can spread the power of Taiwan’s advanced medical services to the entire world.